As construction hums forward at Ashland Place — the new northeast Nashville townhome community we’re proud to be listing homes for — we’ve been spending a lot more time in West Nashville. Specifically, The Nations and the Charlotte Corridor, since Ashland Place is just a stone’s throw away. Much has been said about the growth in The Nations over the past few years — we wrote a neighborhood spotlight on The Nations in early 2016, and even in just those few years, it’s changed dramatically, with new homes and businesses and residents pouring in. 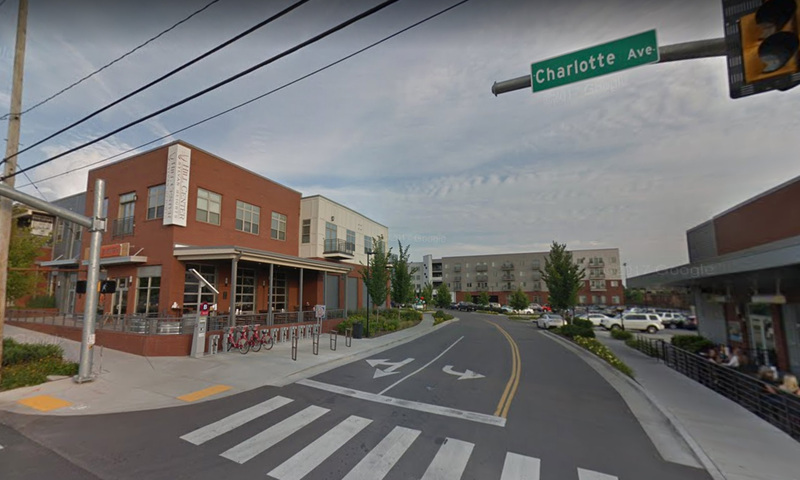 It feels like less attention gets focused specifically on the Charlotte Corridor, maybe because for so long, Charlotte Avenue felt like a long, industrial-tinged artery with no distinct personality and a shortage of the neighborhood chest-bumping you see in areas like East Nashville, or 12 South, or, say, The Nations. That’s changing, and fast: The boom time along the Charlotte Corridor has been building for years, and in 2018, it feels like things are about to get really get loud. It’s just that plans took a little while to become reality, and right now, we’re finally seeing lots of realized dreams. — ONEC1TY, an “urban community” stocked with commercial, retail and restaurant space, alongside residential spaces, just south of Charlotte Ave.
— Hill Center Sylvan Heights, an eight-acre mixed-use development at 40th Ave. N. and Charlotte Ave., stocked with a mix of restaurants and retailers. — Sylvan Station, a 26,000-square-foot mixed-use urban infill project with office, retail and restaurant space, located on Charlotte near 40th Ave. N.
That should include the seven-acre MillWorks, a creative, mixed-use re-development project expected to open toward the latter part of 2018 on Charlotte and 41st Ave. N., and lots of other projects still in the planning phase. Back in 2016, Style Blueprint called the Charlotte Corridor “Nashville’s New Food Mecca,” and it’s only grown from there. 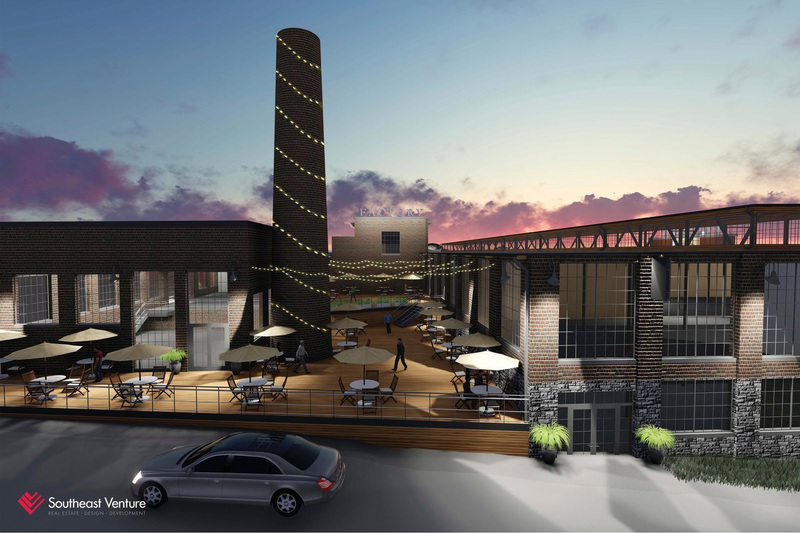 As new mixed-use developments open their doors and other projects move forward, more and more new restaurants are slated to open — we should see another Five Points Pizza location, and Hathorne, a new concept from veteran Nashville chef John Stephenson (most recently leading the kitchen at the Family Wash in East Nashville), among other new food spots. Easily the biggest and most-anticipated food-related project in the Charlotte Corridor area: the Factory of Nashville and Factory Marketplace, a 55,000-square-foot food court/marketplace space likened to a Nashville take on New York’s famous Chelsea Market, and billed as a “FoodFunFactory,” is expected to open this spring on Charlotte and 39th. Nashville homebuyers looking for better public transportation options might find Charlotte Avenue to be a key spot in the coming years — if the proposed light rail line does come to pass as designed, it could run along Charlotte Avenue between West Nashville and downtown, letting West Side commuters park and ride to avoid downtown congestion. What with being a creative city, most of Nashville is flush with representations of our neighbors’ creativity, from galleries and venues to artisan shops. You could’ve argued that the Charlotte corridor, spotted with car lots and industrial centers, felt a little left behind there. Not so much lately. One big, bright example of the creative energy blooming on Charlotte: Off the Wall Nashville, “a world-class outdoor urban contemporary art installation,” which has turned a long, drab wall along the busy Nashville corridor into a collaborative work of art, featuring muralists from all over Nashville and beyond. There’s so much excitement swirling around Charlotte Avenue lately, we know the new Ashland Place homeowners will have no shortage of places to go and things to do right in their backyard. Curious about Ashland Place, and about the homes available there? A few Phase 1 homes remain, and the first closings are expected this spring. Click here to see current Ashland Place home listings, and drop by liveashlandplace.com for more about the community and floorplans. Any other questions, or want to schedule a showing? We’d love to help. Reach ACRE here.